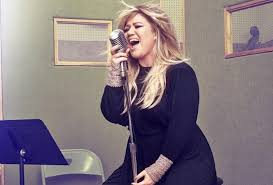 Meaning of Life is Kelly Clarkson's eighth album and looks like she's finally found her voice. The media blurb for Meaning of Life says this is the album she's always wanted to make. Less pop - rock and more soul vibes going on here. Meaning of Life has plenty of modern sounds running through it, looped hooks and distorted vocals being almost obligatory these days. "Medicine" sounds like an attempt at doing a Mariah Carey circa 90's, but better. "Love So Soft" really has that old school soul flavor with Kelly's vocals at a premium here. "Heat" is a wonderful modern sounding song full of life. Kelly's powerful voice is exploited to the max on The Meaning of Life. While i do miss the pure Pop - Rock of the "Since You've Been Gone" days, Kelly has now found her true niche with this one. It feels genuine, it sounds dope. I think I might have also found The Meaning of Life after all these years too.